Today, Amber Ink is sponsoring My Mum's Craft Shop Challenge. 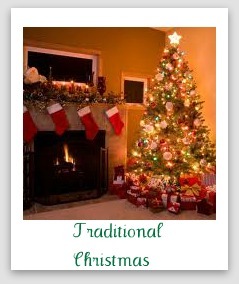 The theme for this challenge is Traditional Christmas. You can use the photo here as inspiration. You will have until next Tuesday to link up your creation to the My Mum's Craft Shop Challenge Blog to win a prize from Amber Ink. Here's the card I made for this challenge. 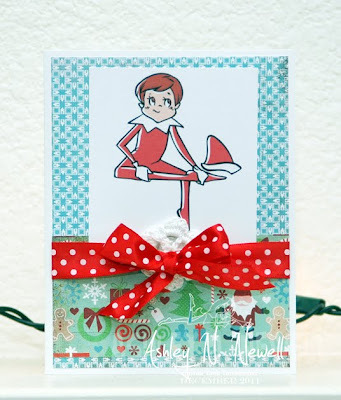 I used Amber Ink's Elf on the Shelf - Have a Sat: Color DIY Printable. Since the kids have been sick, I haven't really had time to color so this DIY Printable came to my rescue! Woohoo! For this card, I used Card Positioning Systems Sketch #247. The paper is Basic Grey Nordic Holiday and the ribbon is from May Arts. Very sweet card. Great digi. How CUTE!! I love that elf!! I just won this image (which I didn't know there was a giveaway)....sooooooo excited to color him!! LOVE LOVE LOVE your crocheted flower with your bow!!! This is darling! Love how you are using this printable and making life easier but still handcrafted - seems like the perfect mix!